In this article we show you the different and important reasons for choosing aluminium windows instead of other materials such as wood and UPVC. We begin with safety features and envoronmental reasons. Aluminium is one of the strongest and durable building materials available which benefits from being virtually maintenance-free. Discover bespoke aluminium windows and doors for every project, from commercial to residential, traditional to contemporary. Consider that windows and doors are both versatile in function and design. Every desired opening type is available, from inward and outward opening, turn and tilt and double casement. A full range of energy efficient windows and doors are also available for those projects that require you to meet the most strict and precise efficiency demands. Choose a company that offers insurance-backed guarantees – Offering peace of mind, by protecting your deposit, your installation and your warranty. Aluminium windows are available in different insulation levels and safety, which are perfect for those projects requiring high standard in energy efficiency. The combination of strength and durability of aluminium, allows very large windows to be designed and developed enabling maximum light into every building and room. Aluminium is exceptionally flexible and can be shaped and bent to give you the unlimited freedom in design and concept. So why choose aluminium windows and doors?Aluminium is strong, robust, versatile and durable meaning that aluminium windows and doors are naturally low maintenance and are built to last. Look for a range of aluminium windows and doors which are secure by design and can withstand the most extreme weather conditions with the exceptional acoustic performance which meet the latest energy efficient requirements. 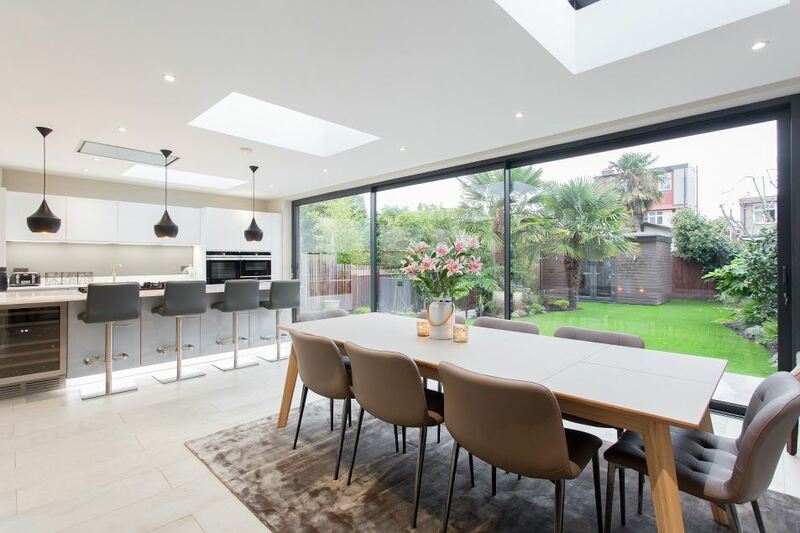 If you're interested in finding out more about our full range of aluminium windows and doors, give Urban & Grey a call today on 020 8979 6367 or visit the website gallery and blog for past projects.